It's that time of year where we look back on what's behind us and decide what sucked and what was bloggable. 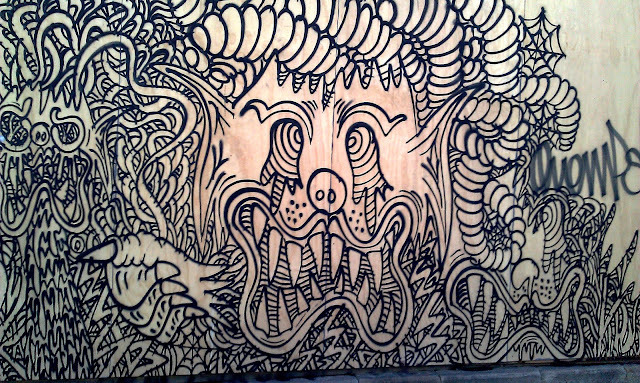 Aside from posting a bunch of street art this year, I interviewed Beastman and Philjames. I also spent a month in Europe seeing incredible art and posting it on Facebook. 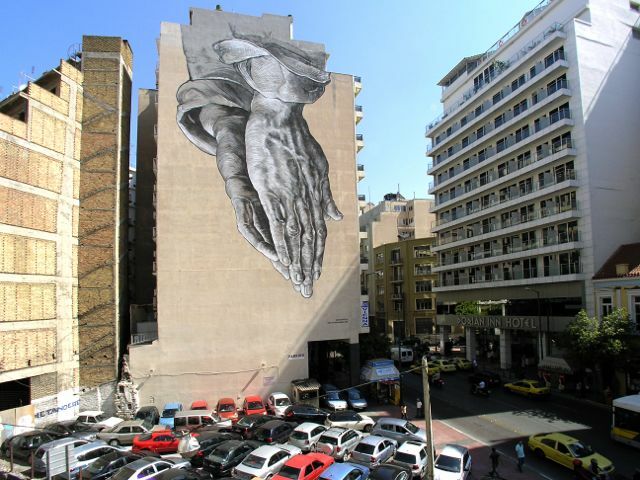 I think 2011 was the year street art began to plateau; I'm looking forward to seeing if that's the case in 2012. The European Debt Crisis has been a staple news item for the past few months. And the sentiment this massive mural conveyed - "we're f-cked" - was quite effective. 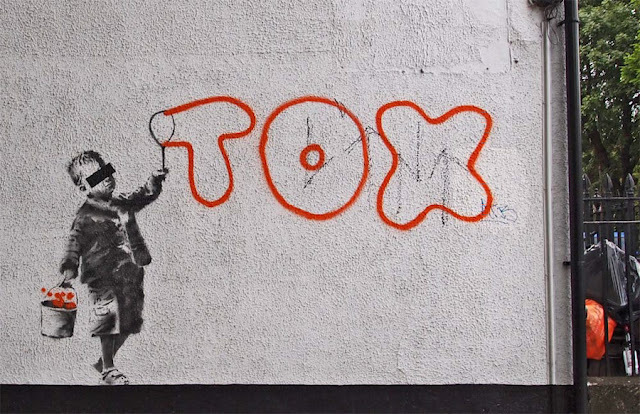 Banksy made this stencil after British graffiti writer Tox was sent to prison for more than two years for tagging. The sentence generated a strong reaction from the graffiti community. 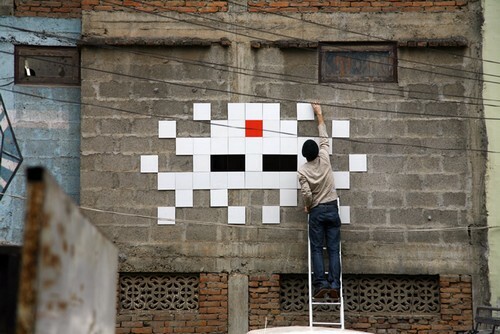 And in case you forgot, Invader was also arrested in LA for vandalism in April. Comes with the territory. This Iwo Jima parody is my favourite Sydney stencil of the year. Not only is it eye catching; it's poignant, ironic and hilarious. This was the year of Slug. 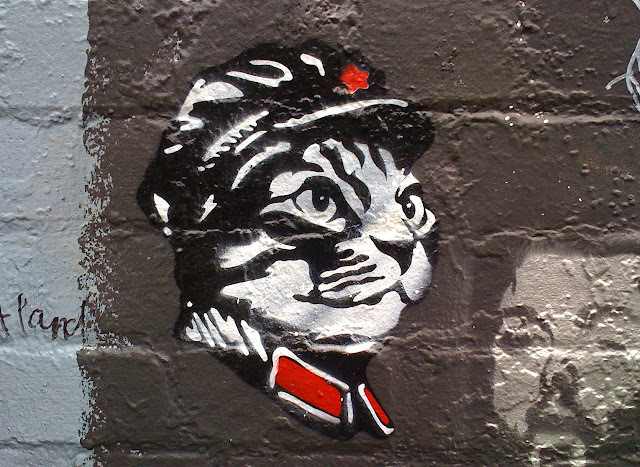 The prolific artist left this spastic dog on so many Sydney walls that he is now one of only a few artists working illegally on a regular basis. 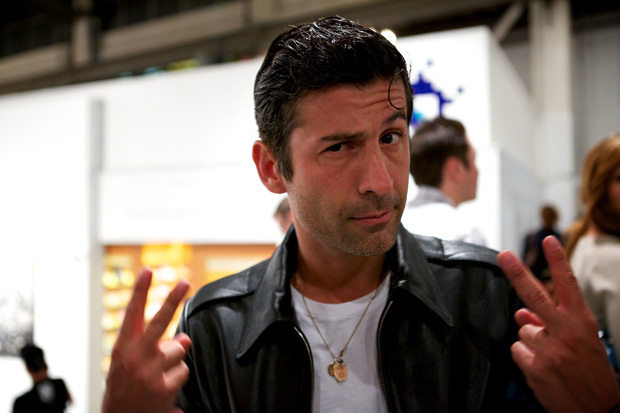 He is also selling a zine called Sugar Shark. The infamous (and highly irritating) hipster posters that popped up this year are still plaguing the streets. I tried to contact the number on one of the posters. There was no response. However, the response to my post was good. Thanks to everyone who wrote in. Monsieur Andre also guest blogged on Acid Midget in 2011. He wrote about being in love with girlfriend Annabelle Dexter-Jones, having a rad time tagging...and feuking a lot. Andre also brought quite a bit of traffic to the blog this year. Don't ask me why. 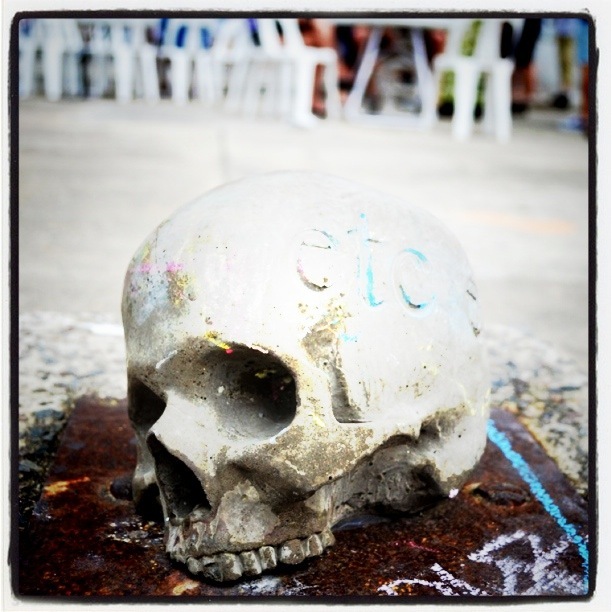 By far the biggest street art event in Australia this year was the Outpost Project. It only finished a couple of weeks ago, but fortunately some of the works will be kept there this summer. Tens of thousands of people visited Cockatoo Island to see a showcase of the most important urban and lowbrow artists in the world. In my opinion, it was a watershed event. Another turning point in street art's transition from underground to mainstream was the release of Banksy's mockumentary Exit Through The Gift Shop. 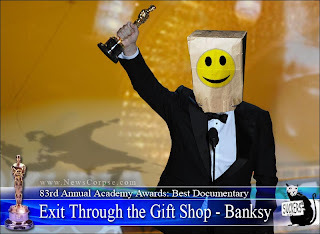 He was nominated for an Oscar and then banned from attending the ceremony. He didn't win. But the film was successful at least. I also wrote the Acid Midget Manifesto in June. It began as a Facebook status, then grew and grew. This blog was never intended to be anything more than an exploration of Sydney and its streets - tinged with conceptual ruminations - but it has become more than expected. Have a happy New Year - see you in 2012!